It is almost time again for the Beyond Reality event at the Stanley Hotel in Estes Park, Colorado. This year’s event is April 11, 12, 13, & 14. If you are a regular reader here you will know that this is my third year to attend. This year my family is tagging along to join in the fun. The standard presentations and guest speakers will be the daily events along with the evening ghost hunts. It is always interesting to watch the professionals and how they conduct their investigations. My husband agreed to go this year to my amazement. He is a true sceptic. The weekend should prove very interesting to say the least. I am not sure what his take will be but I look forward to sharing it all with him. For someone that has never had a paranormal experience ever, it should prove educational. I hope he is ready for it all. Last year for the first time I met John Tenney who is well known in paranormal circles. He was interesting to listen to during his presentation as well as great to visit with. He is knowledgeable as well as humorous. He just makes me laugh, which is always good fun. I am very excited to announce that Grant Wilson previously of Ghost Hunters (Syfy Channel) was added to the lineup. As an avid fan of Ghost hunters, Grant has been sorely missed. My hope is to find a chance to visit with him and ask a few questions about his take on investigations. J Included in the lineup are others from Ghost Hunters, Amy Bruni, Britt Griffith, and Adam Berry. Comedian Mike Brody will also return with his unique humor and stories. Great fun. Last but not least is the return of Chip Coffey, psychic extraordinaire. Chip has a way about him that is unexpected. He swears, he tells it just like it is and makes no bones about how the messages come through. He is great to visit with if you get the chance. Estes Park is a beautiful town filled with friendly people and is surrounded by mountains and wildlife. The elk alone would make me want to make a return visit. They are seen many times in town, around town, by a stop light, by golf course, by the library, etc. They are everywhere. In previous visits we also saw big horn sheep along the highway just outside of town. The area is set in the mountains. If you like photography it is a great place to visit. Many photo-ops can be had by just driving through town. Estes Park is also known for its many Christmas themed shops. Christmas all year round . I personally love stopping by the Highlander Shop. Scottish, Irish, and Celtic items are available. Beautiful handicrafts. The Stanley Hotel has a long history of ghosts and hauntings. Explosions, Native Americans being tortured and deaths are among the tales you will hear. It is on the National Register of Historical Places as well as National Register of Haunted Places. This is indeed a unique location. What is an orb? 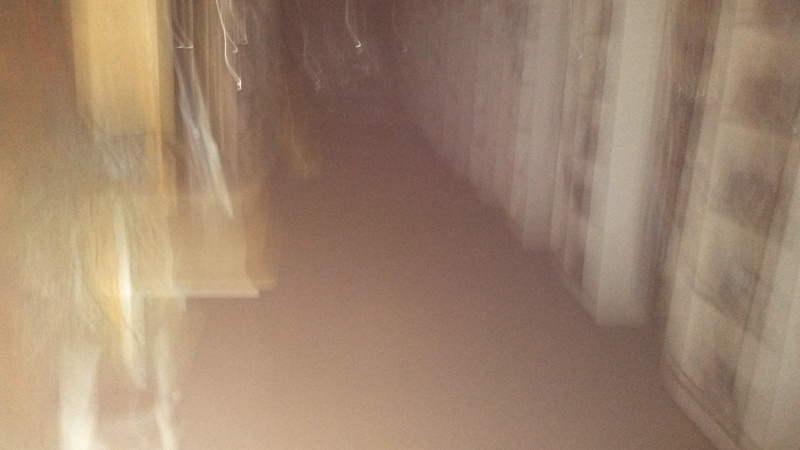 According to Ask.com, the term orb describes unexpected, typically circular artifacts that occur in flash photography-sometimes with trails indicating motion-especially common with modern compact and ultra-compact digital cameras. 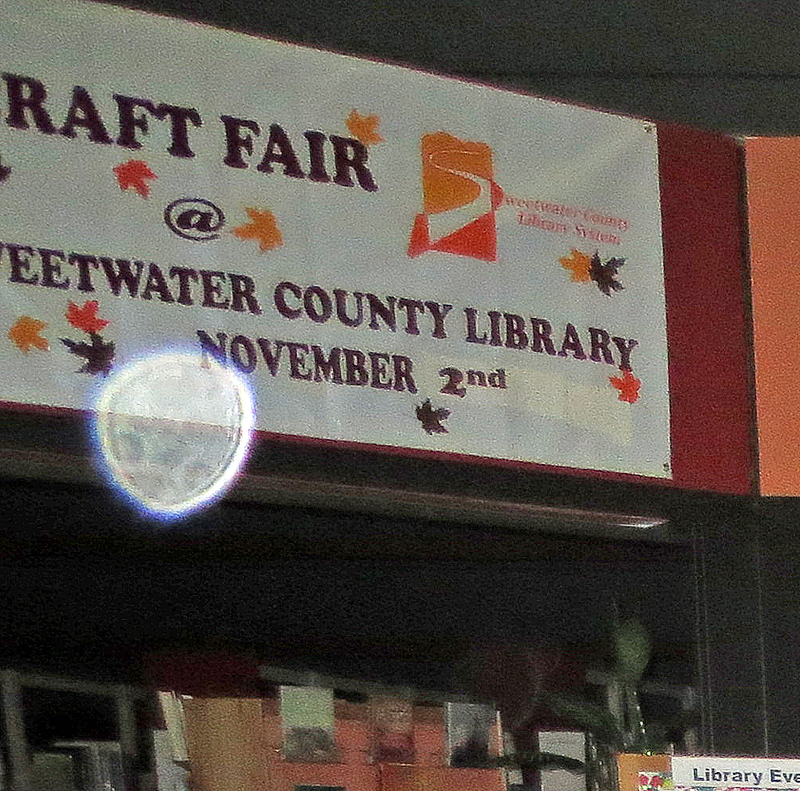 Orbs are also sometimes called backscatter, orb backscatter, or near-camera reflection. The paranormal interpretations. Consistent with paraphernalia, Orb backscatter has been broadly interpreted as a highly variable range of supernatural paranormal phenomenon without verifiability -including invisible spirits, unexpected lights, auras, angles, ghosts, energy field, psycho-energetic artifacts, energy balls, etc. Depending on which expert you ask or generally what you believe in, will depend on what perception you will have about orbs. I see orbs as many things. Photos have been handed to me that shows many round unusual spheres that seem to not belong in the area they were captured. Is it a bug? Is it camera flare? Is it paranormal? Depending on what you have caught and where can certainly make a difference. One example is the Sweet water County Zombie Proms. The Youth Services librarians hold a Zombie Prom each year at the library. Patrons dress as zombies and just as it sounds, is a dance of sorts. Bands are brought in and a Zombie Walk takes place down our main street. Almost every year the Zombie Walk happening, photos are taken. 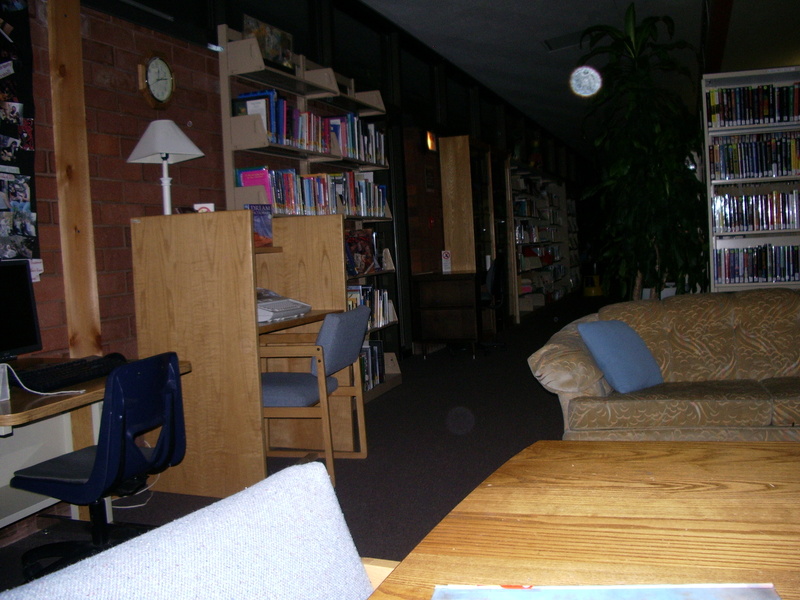 In these photos are orbs, many, many orbs. The questions is asked each year, “Is this paranormal?” Depending on who you ask, you get a different answer. I personally think we have both energy orbs and paranormal. The reason I state this I generally believe most of the orbs are from the extremely high energy brought in by the young people attending the prom. But, with this said, we have also received a photo with an orange orb. This has never happened before and it definitely stands out. Usually orbs are white or light in color, why is this one orange? During our regular Ghost Walks many photos are taken. 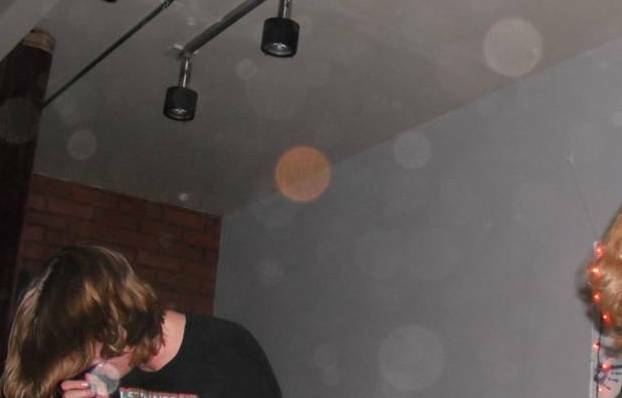 Many interesting orbs are captured. After comparing most of them with our expert friends, P. I. Team of Utah or U.R. O. P. A, it was determined that they are generally dust. We do however have a couple that may not seem so easy to debunk. At times some light anomalies have been shown and thought to be debunked by the experts, but our team still has questions as to the origin. Here is one example that the verdict is still out. We think we see legs at the left and maybe part of a coat or skirt. What do you make of the photos? I would love to see what your take it on the orbs shown. If you have a great orb photo or input on orbs please share with us.